Mary Baker Eddy was an influential spiritual author, teacher, and religious leader, and the founder of Christian Science, a new religious movement of the latter half of the 19th century. 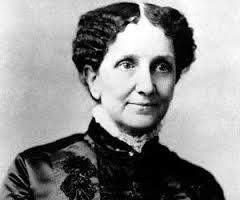 In 1879, Mary Baker Eddy founded the Church of Christ, Scientist. She also founded the Christian Science Publishing Society in 1898, which continued to publish a number of periodicals, including The Christian Science Monitor that started in 1908. Mary was born Mary Morse Baker on a farm in Bow, New Hampshire, to a Mark Baker and Abigail Barnard Baker. Eddy was the youngest of the Baker's six children; her siblings were Samuel, Albert, George, and Abigail. Mary's father was strongly religious man from a Protestant Congregationalist background; he had also been a justice of the peace at one point and a chaplain of the New Hampshire State Militia. He was also known to have a dusputatious temper, which Mary Baker was said to inherit. Mary's mother was said to be quiet and kind. As a youth, Mary became known as the village beauty but life was dull and repetitive. Due to her strict religious upbringing, there was lengthy prayer and continued hard work. Mary rebelled against the Calvinist doctrine of predestination at an early age, and regularly turned to the Bible and prayer for hope and inspiration. In 1836, when Eddy was fifteen, the Bakers moved twenty miles to Sanbornton Bridge, New Hampshire, (known after 1869 as Tilton). Unlike her brothers, Mary Baker received very little formal education but studied on her own at home, writing prose and poetry from an early age. Mary also had fragile health as a child, often suffering from long periods of illness. Her parents sought help from physicians for her ailments, but the treatments brought only temporary relief. Mary Baker Eddy eventually started district school, but had to withdraw a month later because of her continued poor health. She then received private tuition from the Reverend, Enoch Corsor. She entered Sanbornton Academy in 1842. She may have also attended Holmes Academy at Plymouth in 1838. On July 26, 1838, when she was 17, Mary was received into the Congregational Church in Tilton. In the 1840's, Mary Baker Eddy was strongly affected by the death of her brother Albert in 1841, whom she regarded as a teacher in mentor; and her first husband, George Washington Glover, a friend of her brother Samuel's, who died of yellow fever six months after their marriage in December of 1843. At the time, Eddy was already six months pregnant and had to make her way back to New Hampshire by train and steamboat. Her only son, George Washington II was born on September 12th, 1844. Mary was physically and mentally exhausted and became bedridden for months after she arrived back home. She briefly tried earning a living by writing articles for the New Hampshire Patriot. She also worked as a substitute teacher in the New Hampshire Conference Seminary, and in 1846, ran her own kindergarten for a few months. In 1849, Mary Eddy's mother died, and three weeks later this was followed by the death of her fiance at the time, John Bartlett, a lawyer. In 1850, still suffering from recurring bouts of illness and no longer having her mother’s help; and also due to laws regarding single mothers at the time, the custody and care of young George became an issue for Eddy for these reasons. Many relatives refused to help her. In 1853, Eddy married Daniel Patterson, a dentist, who also refused care of the child. Mary found she had no choice but to place George in the care of the family's former nurse and her husband. Due to various circumstances and the ill-will of several relatives, Eddy would not reunite with her son George, until he was well into his 30's. Still suffering from her chronic health conditions and personal losses, Mary still concerned herself with matters of health and religion. She avoided the harsh treatments of conventional 19th century medicine because of its dangerous effects, and instead sought relief in the various alternative treatments of the day, from diets to hyropathy. While seeking a cure for herself, she continued to find comfort and insight in the bible. In October 1862, Mary Baker Eddy reached a turning point in her life when she became a patient of Phineas P. Quimby, the magnetic healer from Maine and leading figure in the New Thought movement. From 1862 to 1865 Quimby and Eddy engaged in lengthy discussions about healing methods and his teachings greatly influenced Eddy. Eddy was also healed from her life-long mental and physical ailments through Quimby's healing treatments. Around this time, another turning point occured for Mary when after a fall on ice caused a severe spinal injury. She was no longer able to turn to Quimby for help, since he had passed earlier that year, so she continued to consult her Bible for healing. As a result, Mary Baker Eddy experienced a miraculous spiritual and physical healing, which even astounded friends and neighbors. Eddy saw herself as having discovered the spiritual science behind Jesus' healing works and this would lay the foundation for Eddy's Christian Science. Mary Baker Eddy would later reject the methods of mesmerism that she learned from Quimby (later known as hypnotism) in favor of her own theories and practices which would become part of the Christian Science teachings. It was evident that both Quimby and Eddy had learned from, and influenced one another greatly, and later there would be controversy when Eddy was accused of plagarism for possibly using Quimby's ideas without giving him proper credit. Mary Baker Eddy would devote the next three years of her life to biblical study and what she considered her own unique discovery of Christian Science. Eddy believed that illness could be healed through an awakened thought brought about by a clearer perception of God and the explicity rejection of drugs and medicine, based on the observation that Jesus did not use these methods for healing. Eddy also attended several spiritualist activites and seances in her life, but made efforts to distinguish Christian Science from Spiritualism. Eddy showed extensive familiarity with Spiritualist practice but later denounced it in her Christian Science writings and even giving a public speech in Warren, Maine in 1864 opposing Spiritualism. In 1866, Mary was abandoned by her husband Daniel Patterson, and she divorced him for adultery and disertion in 1873. She spent several years afterward boarding with different families or spiritualist friends. She got more involved in her study and her spiritual writing and healing theories during the years to follow. In 1875, after several years of teaching and offering her healing methods to others, Eddy published her work a book entitled Science and Health, which Eddy referred to as the 'textbook of Christian Science'; the book would become her most well known publication. During these years Eddy taught what she considered the science of 'primitive Christianity'. Many of her students were not only healed, but went on to become healers themselves. In 1877, Mary married one of her Christian Science students, Asa Gilbert Eddy, who gave her unwavering support in her work and the name by which she is best known. The Eddy's moved to Boston in 1882, and Mary's husband died later the same year. In the late 1879's, Mary Baker Eddy founded the < ahref="https://en.wikipedia.org/wiki/Church_of_Christ,_Scientist" target="_blank" rel="nofollow">Church of Christ, Scientist, in Boston, Massachusetts, which today has branch churches and societies throughout the world. Her students spread across the country as Christian Science practitioners, healing and instructing others. Around this time, In 1981, she founded the Massachusetts Metaphysical College where she taught classes until 1889. In 1888, a reading room selling bibles, her writings and other pubications opened in Boston. In 1898, Eddy founded The Christian Science Publishing Society, which became the publishing home for numerous publications launched by her and her followers. In 1908, at the age of 87, she launched The Christian Science Monitor, a leading international newspaper; to date, the paper is the recipient of seven Pulitzer Prizes. Eddy also founded the Christian Science Journal in 1883, a monthly magazine aimed at the church's members; in 1898, she also founded the Christian Science Sentinel, a weekly magazine with articles about how to heal with testimonies of healing. The converse of mental healing was the use of mental powers to destroy people's health – what Eddy termed "malicious animal magnetism." Towards the end of her life, Eddy strongly believed that an unenlightened individual could use their mental powers to cause harm at a distance. She later expelled several students whom she believed were using their 'mental powers' to attack her. She ordered several of her students to mobilize their mental energy to combat the offenders in return. Later, she would even file a lawsuit against a former student, claiming he had used the malicious animal mesmerism on one of her unhealed patients; the suit was eventually thrown out of court. The belief in malicious animal magnetism "remains a part of the doctrine of Christian Science. Several students of Eddy had even taken their own lives in fear that they were being harmed by animal magnetism. As years progressed, Eddy apparently became even more paranoid, believing that thousands of people were trying to assasanate her by projecting their evil thoughts. Eddy once wrote, that if she died, it would be due to malicious animal magnetism rather than natural causes. In 1907, in the course of a legal case, four psychiatrists interviewed Eddy, then 86 years old, to determine whether she could manage her own affairs, and concluded that she was able to. That same year, Mark Train also published a satrical diatribe entitled Christian Science, which attacked Eddy's character and condemned Christian Science. Later, Twain offered another appraisal of Eddy, this time praising her and the Christian Science treatments after having been healed himself through the practices. Mary Baker Eddy discovered and developed Christian Science mid-way through her life, during a time when woman could not vote, and were generally barred from pulpits, seminaries, and the medical profession. She continued to work until her passing in December of 1910. She was buried at Mt. Auburn Cemetery in Cambridge, Massachusetts. The Christian Science chuch continued to grow nationally and internationally after her death. In 1921, on the 100th anniversary of Eddy's birth, a 100-ton, eleven-foot square granite pyramid was dedicated on the site of her birthplace in Bow, New Hampshire, as a gift from James F. Lord. It was dynamited in 1962 by order of the church's board of directors. Also demolished was Eddy's former home in Pleasant View, as the board feared that it was becoming a place of pilgrimage Currently, there are almost 1,700 Christian Science churches in 76 countries. In 1995, Eddy was inducted into the National Women's Hall of Fame. In 2002, the Mary Baker Eddy Library was also opened.